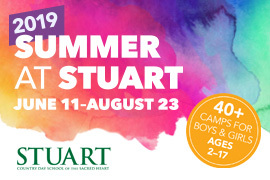 At Lavner Camps, we are excited to offer some of the most dynamic and innovative specialty camps in STEM and Creative Arts at Stuart Country Day School! Working within the Lavner Philosophy, our camps combine expertly designed curriculum, excellent instructors and staff, personalized attention to campers and parents, great locations like Stuart, and a focus on safety and communication. Our camps create a unique atmosphere of learning, friends, and fun! 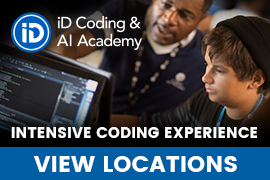 Pursue YOUR Passion in Robotics, Game Design, Minecraft, Roblox, Scratch, Python, Java, Spy Tech, 3D Printing, YouTube Production, Fashion Design, Graphic Design, Filmmaking & Much More! Staff to Camper Ratio of 1:8 or better! Best summer ever! 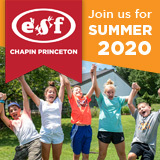 Enrollment for Summer 2019 is now open for your children to participate in the YWCA Princeton’s Dance, STEM and Robotics, and child care programs. All of our programs empower your children through educational, social, emotional and physical growth through positive experiences. Most importantly, our summer programs are fun and educational! 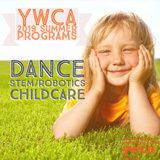 This summer, the YWCA Princeton will offer Dance for children aged 3-12, STEM and Robotics for children aged 6-12, and child care for children aged 2 ½ -6 years old. For more information and to enroll your children now, visit www.ywcaprinceton.org/summer. The YWCA Princeton is a non-profit organization with a mission to eliminate racism and empower women with nearly 100 years’ experience of serving Mercer County’s children and families. Princeton Ballet School Summer Intensives: Summer Intensive Juniors is a program for dancers ages 9-11. Daily ballet technique classes will focus on correct alignment and use of épaulement. Additional class time in dance history, anatomy, performance skills and dance composition will make a varied and fun day for young dancers! Summer Intensive Intermediates offers an excitingsummer program for dancers ages 11-14, modeled on our internationally acclaimed Summer Intensive. This program offers the same careful, personal training for which Princeton Ballet School is famous. 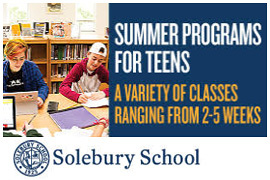 Additional classes for children ages 5-9 are offered throughout the summer.